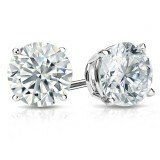 2CT DIAMOND STUDS SCREW BACK 14K WHITE GOLD ..
Lovely and precious Round shaped halo Clip on Diamond earings ,made up of round brilli.. 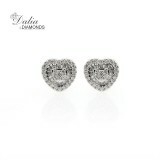 Unique and precious heart shaped halo Clip on Diamond earings ,made up of round brilliant c..
Add a whole new look to your simple stud earrings with these dazzling earring jackets. 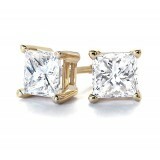 Simply sli.. 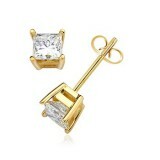 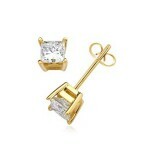 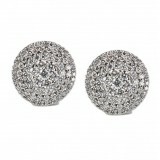 The Octagon Pave Diamond 18Kt White gold Stud Earrings are a flashy, sparkling delight.170 round .. 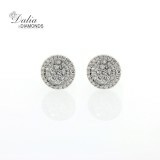 Simple yet exquisite, these large diamond pave circle earrings feature 76 brilliant round white d.. 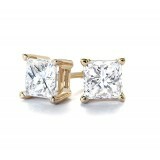 Cluster diamond Stud Earrigns with a Halo of smal round cut diamonds, contains 2 Princess cut dia..
A perfectly matched pair of Princess near-colorless diamonds are carefully set in..